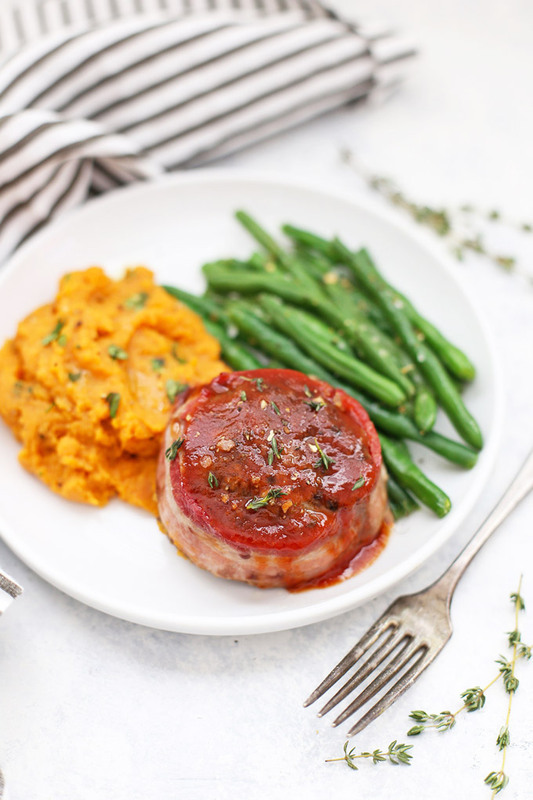 Paleo Meatloaf Minis with Bacon and Barbecue Sauce – These tender, savory meatloaf minis are SO satisfying and delicious. Perfect for meal prep or Sunday dinner! That line from A Christmas Story always (ALWAYS!) pops in my head when I hear the word “meatloaf.” I know that a lot of people have pretty polarizing feelings about it. Maybe you ate a tired, dried-out version growing up and you’re over it. Maybe you just hate the word loaf (Me! I do!). But please, oh please, bear with me because this recipe deserves a second glance. 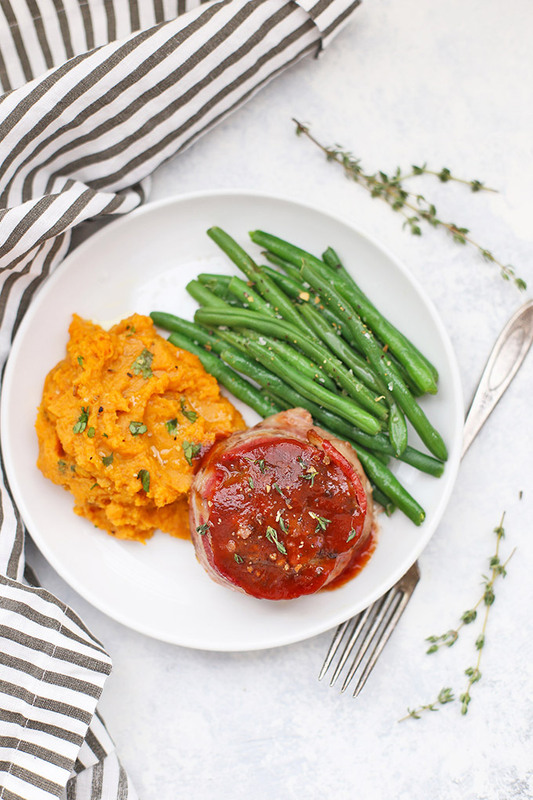 These paleo meatloaf minis are all the BEST things about meatloaf. They’re tender, flavorful, savory, and delicious. They come wrapped in bacon (or not) and smothered with a delicious barbecue sauce that ties everything together. Plus, they do it all without any grains, gluten, or dairy. Whether you want to serve them up for Sunday dinner with veggies and mashed sweet potatoes, or whip them up for a weeknight, these babies are done in no time, which is another reason I love them so. I use a simple flavoring and veggie mix to give the meatloaf itself plenty of flavor and keep them in manageable portions by making them individual size. You could make them even smaller if . These are also an awesome meal prep option since you can make them all at once, then easily pack single-serving portions for lunches or dinners throughout the week. What kind of paleo barbecue sauce do you like? Truthfully, most of the time we use a gluten free (but not paleo) brand with cleaner but not “paleo perfect” ingredients (like Stubb’s or Bone Suckin’ Sauce). 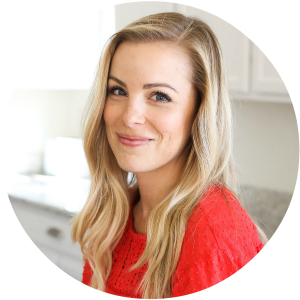 But if you’re doing Whole30 or follow a strict paleo diet, my friend Natalie just came out with an awesome Paleo Slow Cooker Cookbook that has a recipe for an apple cider barbecue sauce. On the store-bought front, I really like Tessamae’s, which I find at Whole Foods, on Amazon, or straight from their site. Whole30 Notes. Besides a compliant BBQ sauce, you’ll need to be sure your dijon mustard is compliant. I like Annie’s brand, which is pretty readily available. Also, double-check your bacon. There are lots of compliant brands out there these days! A toothpick trick. If you wrap your meatloaf minis in bacon (optional but admittedly awesome), I recommend wrapping the bacon slice around the edge, overlapping the tips of the bacon slice just slightly and securing them with a toothpick. This step is totally optional, and if you’re in a hurry or don’t want to use bacon, it’ll still be delicious! Can you freeze them? Yes. I have frozen leftovers and they do reheat well, but (as most cooked meat does) it can be *slightly* more dry upon reheating, but the mushroom mixture does a lot to mediate that. Nothing a little extra dollop of sauce won’t fix, but it is something to keep in mind. If you prefer to freeze them UN-cooked (so you have a meal on hand for later), I recommend freezing them on a plate or pan lined with parchment or a silicone baking mat. When they’re frozen solid, transfer them to an airtight container or freezer bag. When I’m ready to cook them, I just add an extra 5-10 minutes to the cook time. My favorite store-bought Paleo bbq sauce is Tessamae’s. I find it at Whole Foods, on Amazon, or their site. If you’re doing Whole30, also be sure your dijon is compliant. I like Annie’s brand. In a medium pan, heat a small drizzle of olive oil over medium heat. Add mushrooms and onion and cook until veggies have softened and all the liquid has evaporated, about 10-12 minutes. Add cooked mushrooms and onions to the beef. Add egg, dijon, bbq sauce, salt, pepper, and garlic powder. Using your hands or a large fork (honestly I recommend your hands), mix beef mixture until all ingredients are well-distributed and cohesive. Try not to overmix. Divide mixture into 8 even sections. Working with your hands, shape each section into a round patty (this should be taller than a burger–more like a slightly flattened ball). Place each meatloaf mini on your prepared sheet pan, spaced far enough apart not to touch. If using bacon, wrap 1 slice bacon around each meatloaf, overlapping the ends slightly. Secure with a toothpick, if desired. To serve, drizzle with barbecue sauce. Yum! 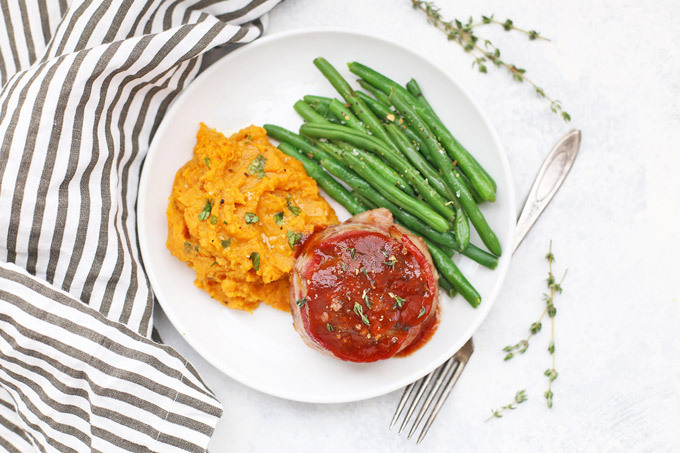 I haven’t had meatloaf in ages and this looks so good and hearty for fall! 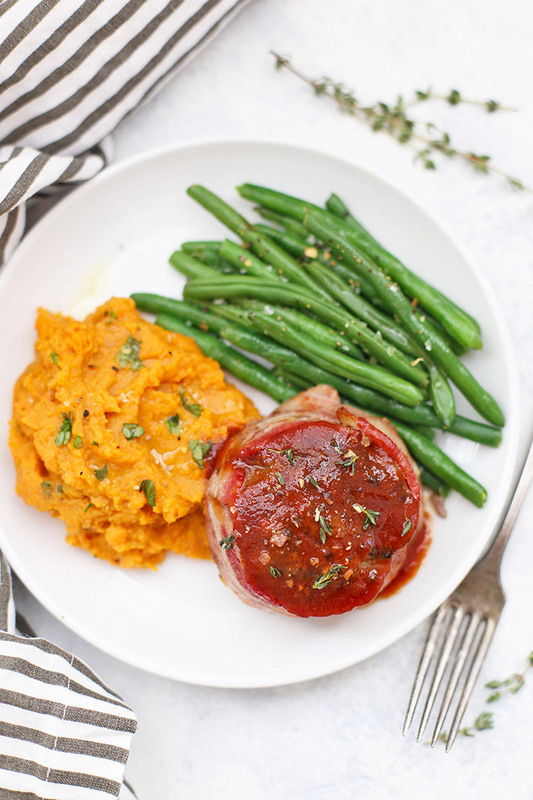 Pretty, absolutely my new go to meatloaf recipe! I need one more information. Would using parchment paper stop the sticking and burning? If you’re having trouble with sticking and burning, parchment paper would absolutely help!